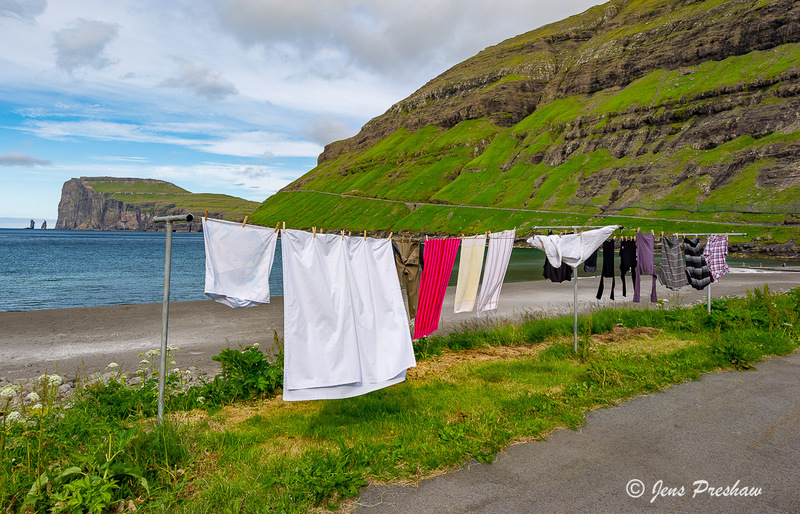 In the village of Tjornuvik clothes dry on a summer day. The sea stacks Risin and Kellingin are visible in the distance. On this beach a Viking burial site was found. It consisted of 12 graves, a fragment of a knife, a bronze buckle, a boat nail and a ring-headed bronze pin. Archaeologists dated the find to the 10th or early 11th century.